The Dakotas group has 12 different Dakota images. 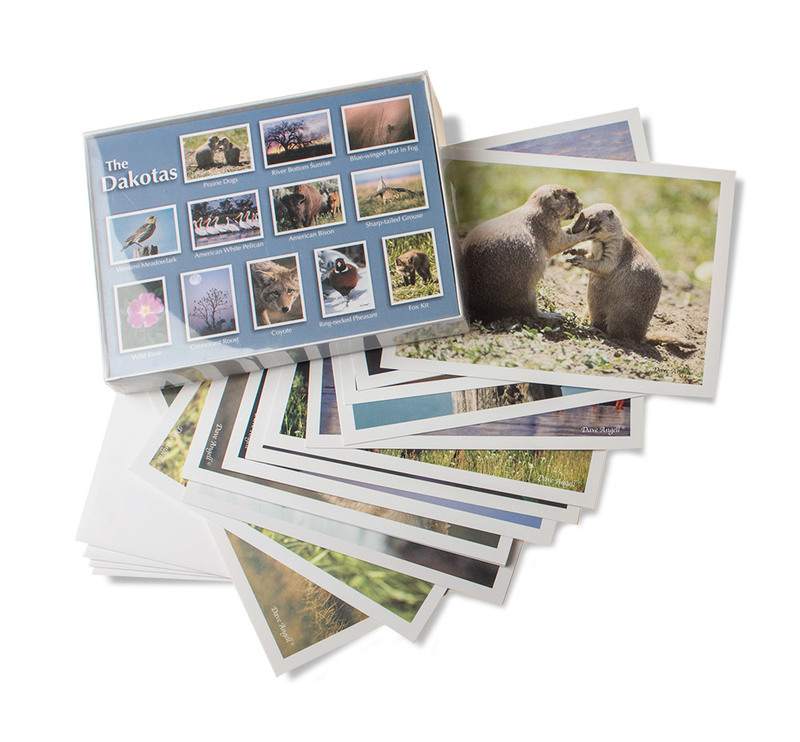 There is an image of Prairie Dogs, River Bottom Sunrise, Blue-winged Teal in Fog, Western Meadowlark, American White Pelican, American Bison, Sharp-tailed Grouse, Wild Rose, Cormorant Roost, Coyote, Ring-necked Pheasant, and Fox Kit. The cards are a folded 4 x 6 blank inside card.